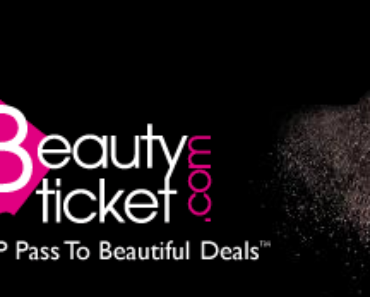 There are all these crazy creative and awesome Halloween makeup ideas that might be just out of reach for us regular folks— So L’Oreal put together three totally doable Halloween looks that can be found right at your local CVS. No you won’t have to treck all the way to Michael’s (or your local art supply store) to get a fun, easy, cool Halloween look. Transform into this years favorile unicorn, mermaid or galaxy girl ( that has Rihanna written all over it). Liza Lash for L’Oréal Paris. Highlight. Swipe the L’Oréal Paris Infallible Galaxy Stick in Cosmic Pink across the length of the cheekbones, down the bridge of your nose, just above the cupid’s bow and a smidge on the jawline. Create the unicorn lid. Coat lids with the lighter side of the L’Oréal Paris Infallible Paints Eye Shadow in Cool Ivory. Next, use the lighter end of the L’Oréal Paris Infallible Paints Eye Shadow in Shady Violet to add dimension to the crease. Gently blend the colors. Finish with a subtle highlight along the brow bone again using the light end of Cool Ivory. Double-line the upper lash line. 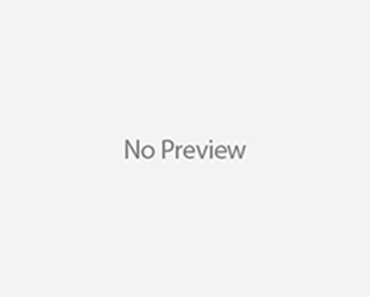 Draw a thin line across the lid with the L’Oréal Paris Infallible Paints Eyeliner in Black Party, then draw a thick line using the L’Oréal Paris Infallible Paints Eyeliner in Intrepid Teal right above it, flicking it out at the corner of your eye. Top off the statement unicorn eye makeup look with a coat of L’Oréal Paris Voluminous Original Mascara in Black. Finish by mixing the L’Oréal Paris Infallible Paints Lipcolor in Violet Twist and Lilac Lust together for a purple-hued unicorn-inspired lip. Infallible Galaxy Stick in Astro Blue and the L’Oréal Paris Infallible Paints Eye Shadow in Mint Detox. Do the same on cheeks. Create the mermaid statement eye. Use blue shade from the L’Oréal Paris Infallible Paints Eye Shadow in BRB Blue to paint your lid. Then fill in the crease with the darker green shade followed by the gray side to highlight the brown bone and inner corner of the eye. Use the light green shade to add dimension to the under-eye along the lower lash line. Add eyeliner. Line your upper lash line with the L’Oréal Paris Infallible Paints Eyeliner in Black Party and follow it up with a touch of Intrepid Teal. Top it all off with a coat of t L’Oréal Paris Voluminous Original Mascara in Cobalt. 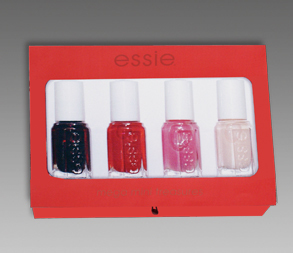 Finish with lipstick. Embrace ocean waves by applying L’Oréal Paris Infallible Paints Lipcolor in Navy Spy. Blot the L’Oréal Paris Infallible Paints Lipcolor in Domineering Teal in the center of lips for an ocean ombré. would naturally hit. Think your cheekbones, the bridge of your nose, the center of your chin, and a touch along your collarbones. Apply lipstick. To add some serious allure to your galaxy makeup look, paint your pout with the L’Oréal Paris Infallible Paints Lipcolor in Lilac Lust. Highlight your lips. Once your lipstick dries, highlight the center of your lips and your cupid’s bow with the L’Oréal Paris Infallible Galaxy Stick in Astro Blue. 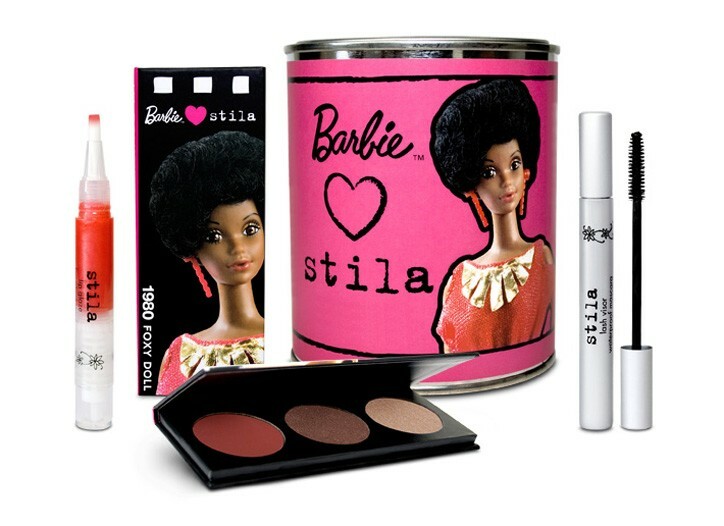 Mattel and Stila team up…move over M.A.C. 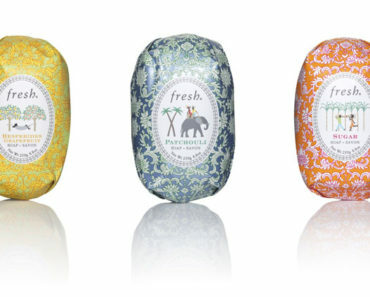 Fresh Turns 21, Celebrates With Limited Edition Soaps! !